Genghis Khan did a fair job of spreading the Chinese/Mongolian influence throughout the world, and Europe did not escape his Mongol hordes. However, despite not being able to colonize the European savages, his descendants look like they might just do it. The Chinese automakers are moving in. At the world auto show in Frankfurt this month, China had seven cars on display, with the Geely and the Landwind being the front runners. Rather than beat the low-priced imports at their own game, the European automakers look to be hiding behind the skirts of the European Union lawmakers, saying that the Chinese imports face a long road before they fully comply with European regulations. However, the manufacturers and importers of these vehicles say they are close to earning European Union type approval. Others expressed doubts. “It will take years before Chinese carmakers can sell cars that comply with EU pedestrian-impact and emissions requirements,” said a Chinese consultant who requested anonymity. But there is another way in to the market, currently being exploited by Jiangling Landwind Automobiles in Nanchang. The Landwind is the only Chinese vehicle currently sold in Europe. The car is sold using single-type approval. It gets a simplified homologation certificate issued country by country that doesn’t require crash-test compliance. 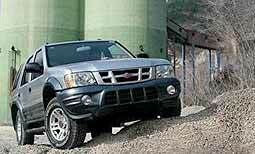 The medium SUV’s engine must be converted once it arrives in Europe so that it meets Euro 3 emission standards. “Two months ago we began the European type approval process for the Landwind. We are confident (we will) complete it in the coming months,” said Bas van den Nieuwenhuijzen of Landwind Motor Corp., the car’s importer. 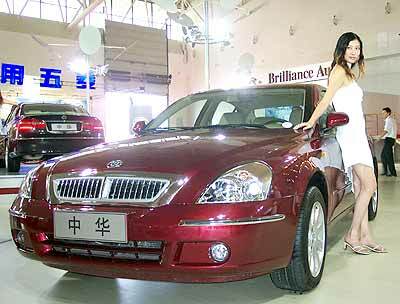 Another is the Gibraltar-based Euro Motors who are the private importer for the Brilliance Zhonghua upper-medium sedan, built by Shenyang Brilliance Jinbei Automotive Co. in Shenyang. Euro Motors has told potential distributors that the Zhonghua will obtain European type approval by the end of November. The Zhonghua will be priced under E18,000 in Europe (900,000 baht direct exchange rate). Geely Automotive showed five vehicles at the Frankfurt Motor Show, but did not say if and when they could be sold in Europe, though you can be sure they did not make the trek to Frankfurt, just for something to do! Portuguese private importer Hipolito Pires will receive the first Geely vehicles in late September and help the Chinese carmaker in getting EU-type approval for three sedans. Do we have backing for James Grunwell? The search is on across Asia for the next crop of fledgling racing talent with the BMW Junior Scholarship Trial announced for October 27 to 30 at the BMW Performance Center Bahrain located at the Bahrain International Circuit. At the end of the four-day trial, three youngsters will come away with a Formula BMW Scholarship worth US$ 50,000 each towards the 2006 season, plus a full year of the comprehensive Education and Coaching Programme, the most professional training course of its kind in the region. 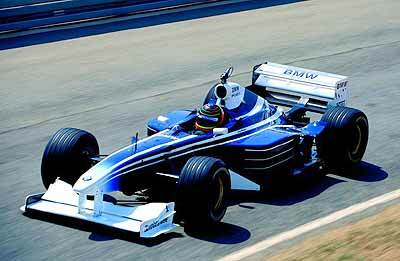 A fourth Scholarship will automatically be awarded to the winner of the 2005 Formula BMW Asia Rookie Cup. Anyone aged between 15 (16 during the 2006 season) and 21 looking to make the step from karting to a single seater racing career – or even those just starting out in the sport – is eligible to take part in the trial, providing they have not had any previous international racing experience and have not competed in senior single seater series. The Formula BMW Asia Scholarship Trials include theory, practical exercises, medical checks, briefings and evaluation laps. The theory section covers shifting, braking, information on the race track, the racing line, driving physics, explanation of the flags and the Sporting Codes, and a chronology of race events. In the practical exercises, youngsters will be taken through their paces covering a race start, shifting, the racing line, the Safety and Course cars, and cornering. Free practice as well as evaluated practice sessions will be held. For the evaluation of the drivers, lap times, age and instructor assessment will be taken into account, with particular regard to shifting, the racing line, braking, rpm/speed and improvement shown during the trial. With so many different factors to be considered when identifying true potential, it is not necessarily the fastest drivers on the track who will ultimately be selected. The cost of the course is US$ 2,400, excluding transportation and accommodation, and includes use of a Formula BMW car, an FIA authorized crash helmet, race suit, shoes, gloves and Head and Neck Support System (HANS) devices. The deadline for entry is October 12, and a maximum of 24 drivers will be accepted. Further information may be obtained by emailing Matthijs Hoitink at mat [email protected] or calling Malaysian telephone: +60 3 202 616 80. The stand-out driver from this region is James Grunwell, who wins in about anything he puts his backside into, and is 16 years of age. His latest efforts have been in the world Rotax Max GoKart class. As part of the Champion Racing Team James was totally dominant as he won the Qualification, Rounds 1 and 2, Pre-Final and Final with ease. This is enough to get him in to the World Finals to be held in Lankawi, November 25-27. If there is someone out there who could give this lad a hand, you can contact his father by email [email protected] con.co.th. I can assure you the lad has talent, and is a very nice young man as well. Last week, I asked what is the connection between Stuttgart and Ferrari? This was a bit cheeky. It really refers to the Ferrari rampant horse. Here is the ‘official’ history of the Ferrari emblem. Enzo Ferrari had been noticed by the Baracca family, who reputedly gave Enzo Ferrari the symbol, by which Ferrari is known throughout the world, the “Cavallino Rampante”, the Prancing Horse. Enzo, in his memoirs, “My Terrible Joys”, wrote, “The story of the prancing horse is simple and fascinating. The horse was painted on the fuselage of the fighter plane flown by Francesco Baracca, a heroic Italian pilot who died on Mount Montello: the Italian air ace of the First World War. In 1923, when I won the first Savio circuit, which was run in Ravenna, I met Count Enrico Baracca, the pilot’s father, and subsequently his mother, Countess Paolina. One day she said to me, Ferrari, why don’t you put my son’s prancing horse on your cars, it would bring you luck.” The horse was black, and Enzo put it on a yellow background to represent Modena, the city of his birth, and added the letters S and F, for Scuderia Ferrari, but it was many years later at the Spa 24 Hours in 1932, before this logo would be used on a car. However, where did Francesco Baracca get the prancing horse that he put on his plane? The horse is the prancing horse of Stuttgart, which might just have been on the plane of one of the German pilots he had shot down (Italy was on the other side from Germany in WW I). That I think is the most credible. It does not go against Enzo’s story, but just digs a little deeper! So to this week. And something not as obtuse. I have mentioned BMW again this week. What model BMW used its rear muffler (silencer) as an aerofoil? Bertone will build 2,000 Minis – the new Italian job? The design and assembly house of Bertone was looking a little shaky recently. It currently builds the Opel Astra convertible, but its successor, the Astra TwinTop, will be produced at Opel’s plant in Antwerp, Belgium, starting next year. Its other main contract was to build the BMW C1 radical motorcycle. Bertone installed capacity to build 27,000 C1s a year but BMW stopped production three years ago after the motorcycle sold only about 10,000 units a year, leaving Bertone a little high and dry. As compensation, perhaps, BMW have contracted Bertone to build around 2000 units of a new high performance Mini. This two-seat Mini by Bertone will have a 225 hp gasoline engine, and is expected to be sold worldwide at prices starting at about E30,000 (about 1.5 million baht direct conversion). Bertone will receive bodies in white from Mini’s plant in Oxford, England, and complete final assembly in its plant in Grugliasco, near Turin. The next Mini is already attracting much interest, with BMW developing a station wagon version of the next-generation Mini, claims Automotive News. It is part of a broader range of body styles that will be derived from the second-generation Mini, which is due in the fourth quarter of next year. The first version of the new Mini will be a three-door hatchback. The station wagon is due at the end of 2007. A new version of the convertible will arrive at about the same time. Until then, BMW will continue to build the current convertible. Company sources hinted at the Frankfurt show that other, additional body styles will be introduced. The next-generation Mini will be a more advanced car than the current model, with a completely new range of engines co-developed with PSA/Peugeot-Citroen. It will grow 30 mm to create more room for occupants and to cope with EU pedestrian-safety regulations. The station wagon derivative will be 200 mm longer than the current Mini. The station wagon could be called Traveller or Clubman. Both names were used in the early 1960s on Mini versions that had a longer, square front end. Italian coachbuilder Castagna has built and sold a small series of station wagon models based on the current Mini, a project that has met with unofficial approval of Mini executives in Germany.